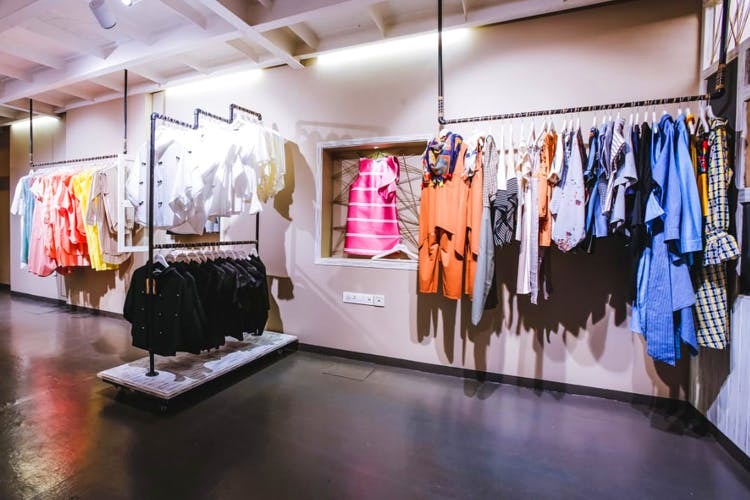 Chic N Urban is a fashion label started in 2012 by South Mumbai-based friends, Avni Agarwal and Abha Shah, who decided to come together and follow their passion for all things fashion. Focusing on easy-to-wear clothing options, Chic N Urban also pays attention to their collection being wearable and trendy. While their store in South Mumbai’s Fort screams elegance, you can also see it in their personal sense of style. What stood out for us is that their range is ‘fashionably fit’, where each clothing piece serves its purpose in figure-flattering splendour. Their range includes dresses and pantsuits for evening parties, urban outfits perfect for the workplace, classy designer wear for those loungey brunches and other special occasions. They believe in experimenting with a whole range of colours, right from pastels, worn during the daytime, to bold colours, perfect for the evenings. The materials and fabrics are lovingly handpicked from places and markets they visit. They’ve got themselves quite a collection, and following! We already have a few favourites of our own from their store and what makes it even better is that their price range is from INR 3,000 to INR 6,500. So, make a trip to town and build that collection of yours with some of their stunning special pieces.